The 8th Annual CARMA conference (CARMA MOVING FORWARD: KNOWLEDGE TO ACTION) was held in Vancouver December 4th to 6th 2012. Click here for the proceedings. The following documents represent the agenda, presentations, posters from this conference. Breakout groups will be posted shortly. 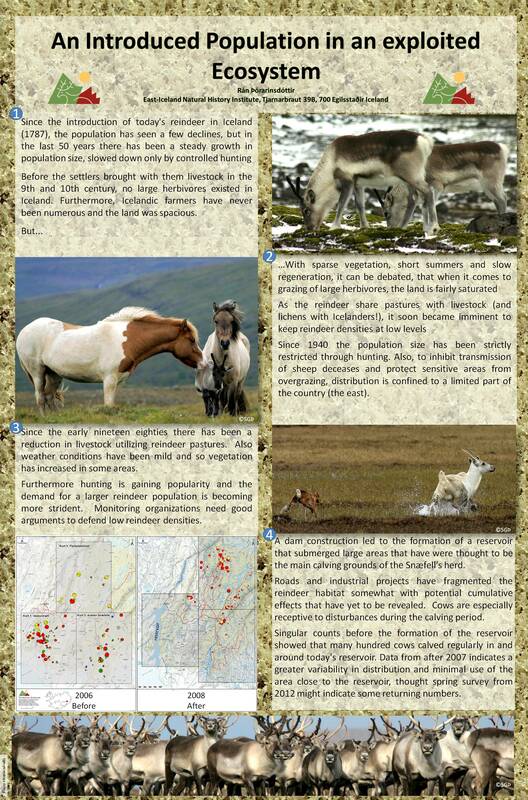 Poster MANAGEMENT OF THE TAIMYR WILD REINDEER POPULATION: PAST, PRESENT AND FUTURE KOLPASHCHIKOV, LEONID A.